Vaccinations are not just for kids. There are at least a half-dozen immunizations that are recommended for adults. Influenza still remains the most obvious and well-recognized adult vaccination. In 2017, over 30,000 people died from the flu, most of them either young children or seniors. The Centers for Disease Control and Prevention (CDC) recommends the flu vaccine for everyone older than 6 months of age, especially seniors. There is no upper age limit for adults. The flu virus changes its genetic makeup as it goes around the world, undergoing what is called antigenic shift and drift. Since there is no universal, long-acting vaccine yet, this means a new flu vaccine must be developed each year based on the best educated guesses and data from surveillance sites all over the world. Because flu vaccines are re-formulated every year, receiving a new flu shot every year is a must. The flu season usually peaks in February, but adults and children should be vaccinated as early as September and all the way through March if necessary. Even though the effectiveness of the vaccine may vary somewhat from year to year, it is always better to have some immunity than none at all. The flu shot never causes the flu. Although most people know that their tetanus shot should be renewed every 10 years, what is less well known is that tetanus is included in a vaccine called TDaP (tetanus, diphtheria, pertussis). The immunity for all three organisms tends to wane with age. While tetanus is still a constant threat, pertussis (or whooping cough) poses a life-threatening risk to infants less than 1 year old, who lack complete immunity at that age despite vaccination. All adults, especially seniors, need this booster at least once for renewed immunity from all three infections, with renewal every 10 years thereafter. Pertussis (whooping cough) is the most problematical of the three organisms since it is found regularly in adults where it manifests as a chronic, annoying cough (or sometimes no symptoms at all in so-called “carriers”). Parents or grandparents can inadvertently transmit pertussis to infant children who can die from the disease from suffocation. No caregiver wants to be responsible for killing his or her child or grandchild for want of a simple vaccine. The herpes zoster vaccine is another adult vaccine that is recommended after 60 years of age, although it can be given as early as 50. It prevents or shortens outbreaks of shingles, related to reactivation of the varicella (chicken pox) virus. While children and young adults have been vaccinated against varicella, older adults have not and most have had chicken pox as children. While not usually life threatening, shingles can be a painful and debilitating experience, especially related to herpetic neuropathy. There used to be only one herpes zoster vaccine, Zostovax, but another version, Shingrix, is now available. The latter is more expensive and must be given twice, but appears to be more effective. Vaccine cost may be a factor when it is not covered by insurance, so checking with your pharmacist and Medicare is always suggested. Another geriatric immunization is the pneumococcal vaccine, which is suggested for all seniors over 65 years of age, plus for some prior to that age in people with underlying health problems. The polysaccharide form (Pneumovax) was the first one available, but it has been joined by a newer product, Prevnar-13. In fact, both are necessary to achieve maximal protection against pneumococcal pneumonia. The current recommendation is to start with the Prevnar-13 and obtain the Pneumovax a year later. The combination is highly effective against the pneumococcal form of pneumonia, which debilities or kills thousands of elderly people every year. Pneumonias of all sorts still remain the greatest killer of seniors, especially those with underlying illnesses. Another adult vaccine is HPV, or human papillomavirus. This particular vaccine protects against cervical cancer as well as genital warts and some forms of oral cancers. It should be administered as early as 11 years old and should be completed prior to becoming sexually active. It can, however, be safely administered up to 26 years of age in women and 21 years of age in men. Three doses are required in older adolescents (only two in those less than 15 years of age) and cost remains an issue in some cases. Your parish health unit has doses of HPV available for young adults up to age 26. Although seniors are not eligible for this vaccine, they can encourage their pre-adolescent and adolescent grandchildren to get vaccinated. They may save youths from the misery of genital warts or oral and genital cancers. 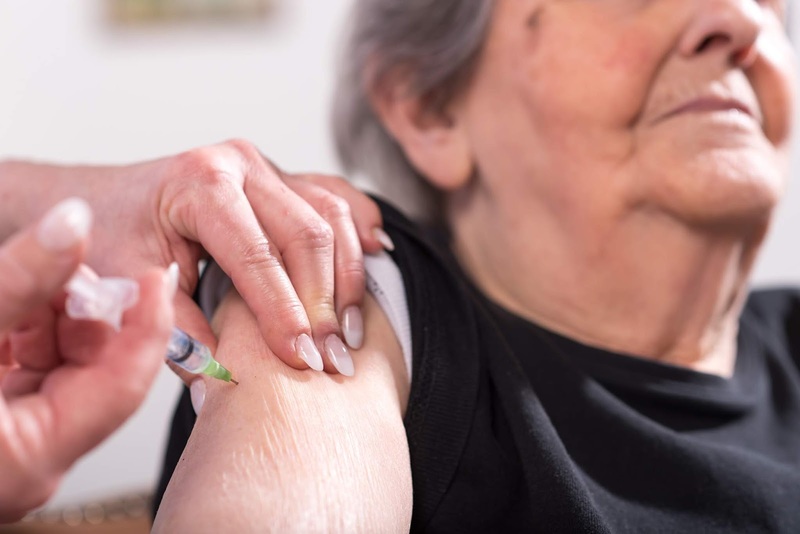 Since at least half of seniors have at least one chronic condition, and many have multiple conditions, it is imperative to achieve maximal protection with all vaccinations. Immunizations do not stop after childhood. Influenza, TdaP, pneumococcal, zoster and HPV are five that should be administered to adults. Others, such as MMR (measles, mumps and rubella) or hepatitis A or B may be required under certain circumstances, especially if vaccination documentation is limited or foreign travel expected. Check with your physician, the Louisiana Department of Health or the CDC for more information. Vaccines can be obtained without a prescription in pharmacies, so there is no excuse not to be completely vaccinated.